THIS IS THE 1989 OUT OF PRINT EDITION. NOS NEVER SOLD. 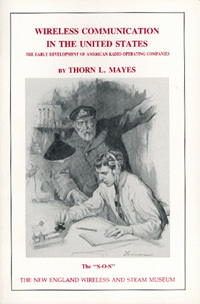 Early development of American radio operating companies. Alternators, coherers, stock promotions, unpublished letters, etc. 160 illustrations. 240 pages.